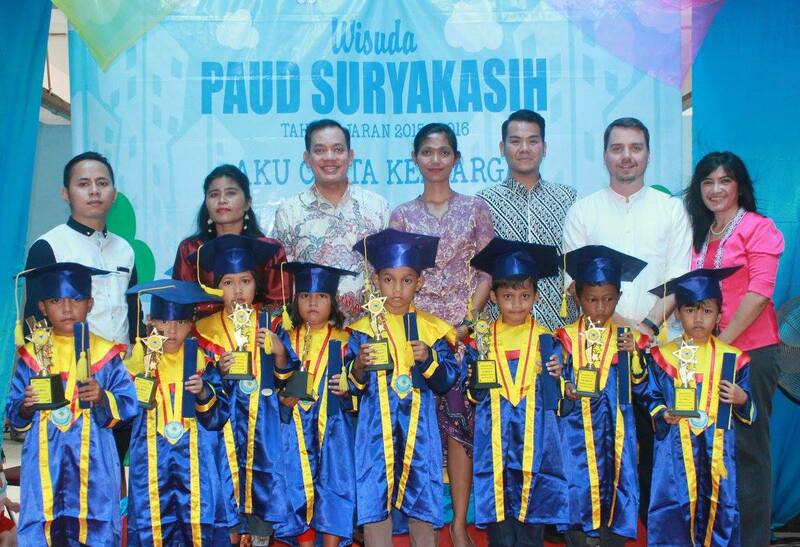 ReachOut Foundation recently held graduation at its PAUD SuryaKasih schools for students who have completed the second year of kindergarten. 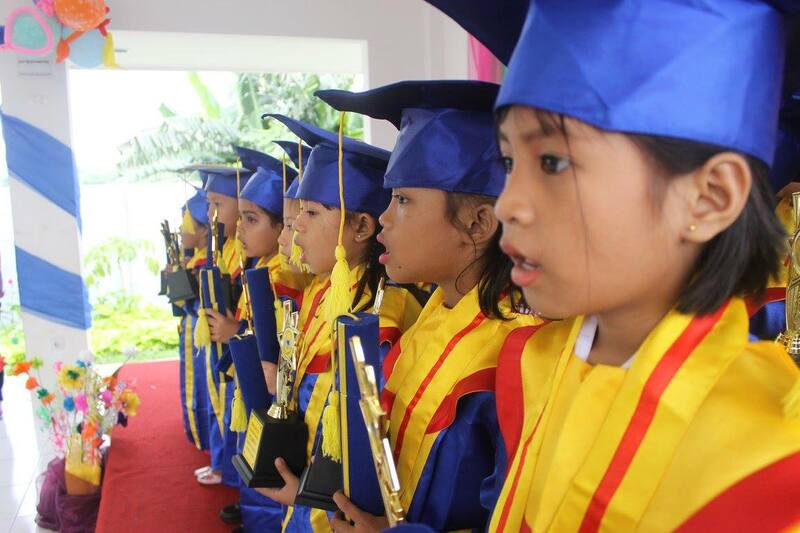 A total of 141 students graduated, representing all seven PAUD SuryaKasih schools, which are all located in the government rusunawa. Operations Director, Tulus Siahaan, handed out the diplomas and congratulated each student. The ceremonies also included singing, dancing and testimony from parents of the children who attended the schools. “This is a time for us to celebrate. It’s an achievement for the students, and it’s a proud moment for the parents. As I handed out the certificates, I am filled with the joy of knowing that each one of these children has the potential to become someone great,” said Tulus. PAUD (Pendidikan Anak Usai Dini) is a program designed to help prepare children for primary school and help them be overall more successful in their future studies. 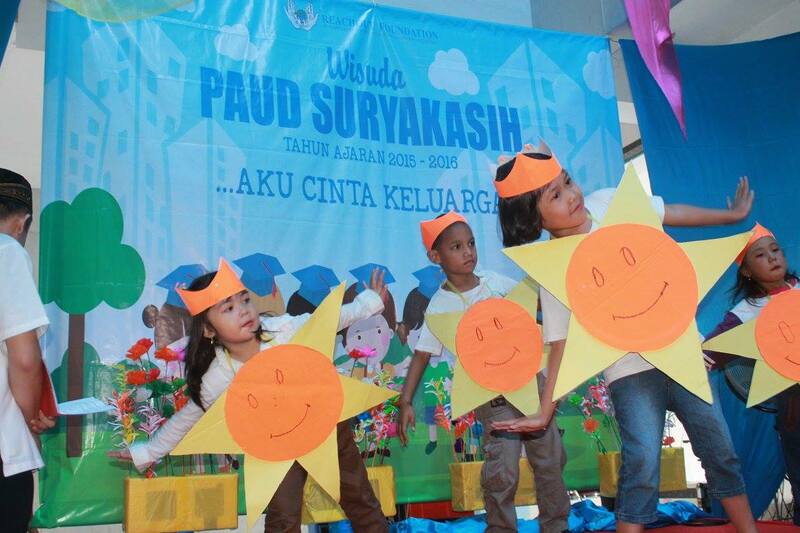 PAUD SuryaKasih was specifically built in the government housing projects to offer free preschools for families living in those communities. 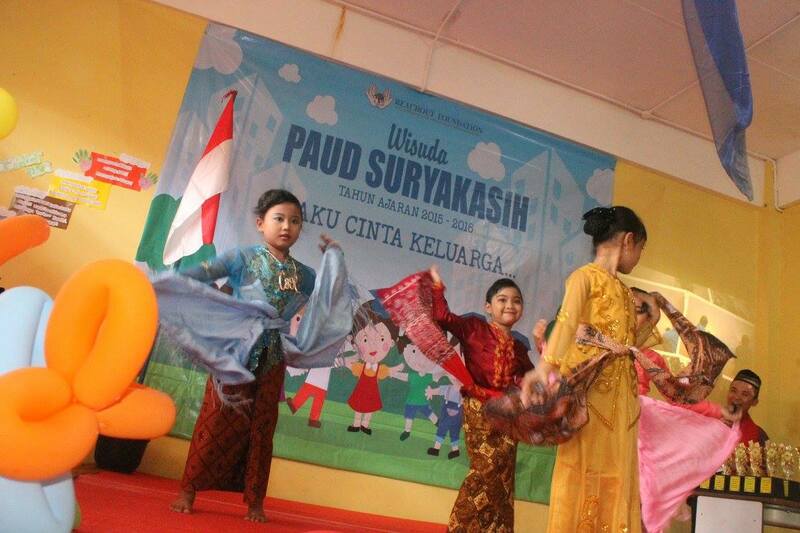 The foundation built its first PAUD SuryKasih school in 2014 in Rusun Pulo Gebang and is currently operating seven schools in Jakarta with a total enrollment of 420 students. “Educating children is like planting good seeds for a better crop. A well prepared generation will definitely benefit not only themselves and their families but also for their communities and even their country,” said founder and chairman Ibu Judith Soeryadjaya. Graduation marked the end of the 2015-2016 academic calendar for PAUD SuryaKasih. The 2016-2017 academic calendar will begin after the Idul Fitri holiday. The school is currently in the process of registering students for the new academic year. PAUD SuryaKasih has seven location: Daan Mogot, Cakung Barat, Tipar Cakung, Pinus Elok, Cipinang Besar Selatan, Komaruddin, and Pulo Gebang.